The format was developed to enable recording, rewriting and playback of the ever-increasing amounts of data required by high-definition video (HD) and 3D TV, as well as storing large amounts of data. The format offers more than five times the storage capacity of traditional DVDs and can hold up to 25GB on a single-layer disc and 50GB on a dual-layer disc. It retains the same familiar physical characteristic of a 12cm plastic optical disc, and is now firmly established as the dominant format with a high and growing penetration of players in the marketplace. Duplication Centre was one of the first UK suppliers to provide Blu-ray Duplication services. In fact, we are still one of few suppliers providing the service effectively. 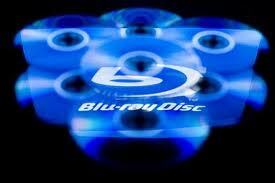 Blu-ray Duplication means the professional process of Optical disc authoring (burning) of Blu-ray discs. The resulting discs look and feel like a distinguished retail disc. To complete the service we provide high quality professionally printed and finished accompanying booklets and inlay cards, folded and assembled in selected cases, and even optional cellophane wrapping for the final touch. We are dedicated to our business; we do the job quickly, to a very high standard, and at low prices. 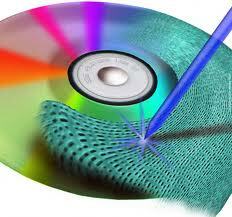 Each disc is printed in full photo-quality using state of the art dedicated disc printers. Resolution is 4800 x 1200 DPI. Each disc is individually coated with a fine layer of lacquer to enhance the colours, protect the disc, and give it a professional shine. We use high quality branded Nexpak cases to give a professional feel. Our booklets, inlay cards, and case wraps are printed on Xerox(r) stock glossy paper. We use 210gsm paper, which has been found to give the correctly balanced weight for use in disc cases such as Blu-ray. 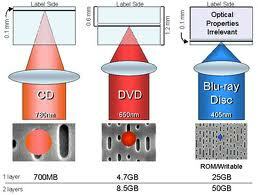 How are our Blu-ray Duplication services different? We are dedicated to customer satisfaction, quality, and turnaround time. How do we achieve high customer service? Duplication Centre is constantly examining the market for new hardware, Blu-ray authoring techniques, and movements in the industry and its related technology. We constantly communicate with our customers. We are proactive – not reactive. We are dedicated to our work, and this shows in our dealings with customers and in our products. Over fifty percent of our orders are repeat business. The same high profile clients repeatedly turn to us for their CD Duplication. Our investment in Blu-ray Duplication? Duplication Centre is a high-investment company. Blu-ray duplication itself is an example of our investment in the latest generation technology to improve our product and our customer experience. We pioneered the UK CD Duplication market with the comprehensive instant price generator. We were one of the first to allow new internet users to order online with our Easy Checkout system. And we won’t stop there – every year we invest in new IT systems, hardware, and new generation products. We are Duplication Centre, providing excellent Blu-ray duplication, and you can trust us to deliver satisfaction – every time.